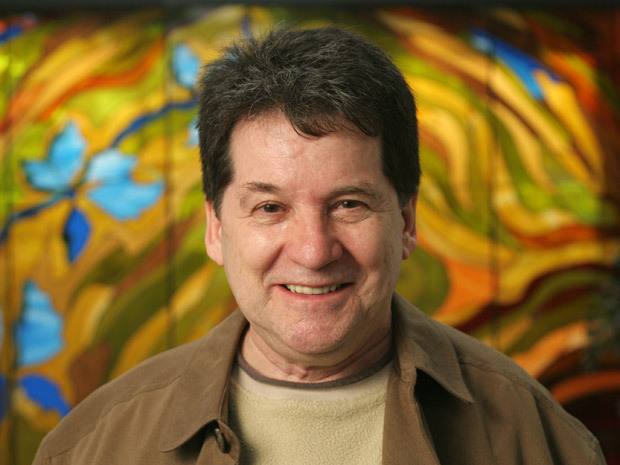 Bibby has been the foremost researcher into Canadian religious developments over the last four decades, particularly through his massive Project Canada surveys of adults and teens. His research has been systematically presented in 13 books, from The Emerging Generation in 1985 and Fragmented Gods in 1987 to Beyond the Gods & Back in 2011. A New Day: The Resilience & Restructuring of Religion in Canada is a colourful, easy-to-read, 76-page summary of Bibby’s research. It is available free as an ebook or for $20 as a paper book. The free ebook, Bibby says, is an effort to make the heart of his findings and their implications “widely available” because “This is a critically important story that needs to be heard by everyone who cares about religion, and even some who don’t.” Bibby offers not just academic data but also crucial advice for Christians and others on how they can best respond to the current religious situation in Canada. Because weekly church attendance in Canada had dropped from 60% of the population in the 1960s to 20% by 2000, it was widely assumed that organized religion in Canada was in “irreversible decline.” But research by Bibby and others has demonstrated that since the 1990s weekly attendance has remained at 20%, another 10% attend monthly and a further 30% attend church at least some of the time. This does not mean that everything is staying the same, however. While religion will continue, its form may change, and in fact is changing, very significantly. Mainline Protestant denominations (such as the Anglican Church and United Church) are in rapid decline; Roman Catholics are holding steady at just over 40% of the Canadian population; and evangelicals have increased from about 8% to 11% of the population, with most of that growth coming in the 21st century. At the same time, other religions, particularly Islam, are also growing rapidly. At the other end of the scale, the proportion of people who say they have no religion has risen from less than 1% in 1961 to around 25% today. In other words, what is happening in Canada is not so much secularization as polarization. Moreover, there are indications that the staying power of religion in Canada is not going to change soon because of what is happening elsewhere. Looking at the larger picture, Bibby points out that “religion is experiencing something of a global resurgence.” He cites global statistics that show Christians and Muslims are each growing by 70,000 adherents every day, while atheist numbers are growing by only about 1200. This is significant because two-thirds of Canada’s population growth is due to immigration, and half of Canada’s immigrants are Christian, about 30% belong to other religions, and only 15% have no religion. So, what are the implications for Christians? The first thing, Bibby says, is for them to get rid of the pessimistic attitude that secularization is inevitable and the situation is hopeless. As well, Bibby suggests, faith groups should explore working together with like-minded people to increase their impact. He is not just thinking of evangelicals working with evangelicals but of evangelicals working with Roman Catholics and mainline Protestants, and even Christians working together with adherents of other religions. Further, Biobby’s research shows that religion will remain but specific religious groups may not. Bibby argues that those which survive and prosper will be those that minister well, those that meet the needs of people. This means, first of all, ministering to those who are already members. It also means ministering to that 30% of the population who have some relationship with a church but attend only sporadically. Bibby’s research shows that that these people are unlikely to switch to another religion and many are open to returning to the religion they are affiliated with – but only if they find it worthwhile. As for reaching out even further, Bibby says it is much more unusual for people to switch from one religion to another or from no religion to embracing a religion. However, it is possible, especially when there is “a relational bridge,” a person to person connection. The research that Bibby has conducted and collected is so significant that it should be studied by the leaders (and many of the members) of every church and ministry in Canada – and the short, inexpensive, highly readable A New Day makes this very easy. The free ebook is available online. The paper version of this book, as well as Bibby’s other books, are available for sale on The Project Canada website. As well, Bibby is inviting readers to get involved in ongoing online discussions of the research.